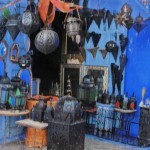 Chefchaouen really is a great place to visit. 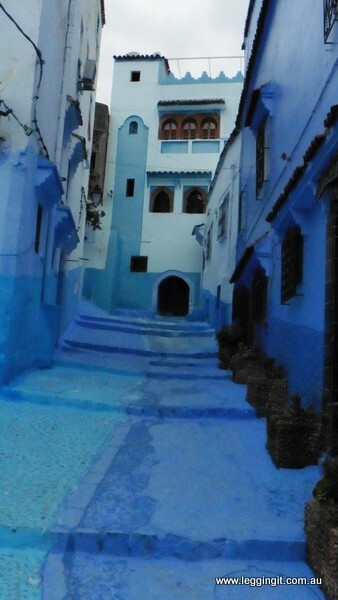 It’s known as the blue city as most of the buildings in the old medina and many surrounding it are painted blue. It’s set below two mountains which supposedly look like goats horns and give the city its name. 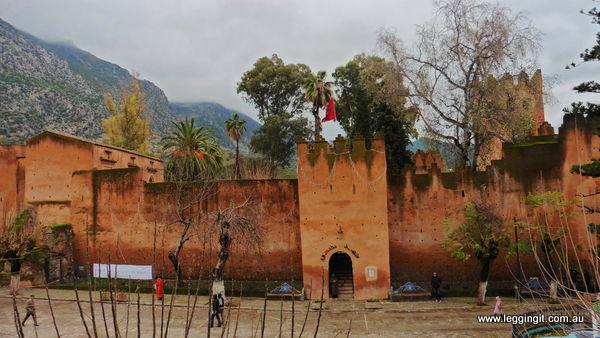 It truly was the “Morocco” we dreamed of. 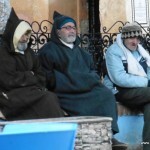 Local men dressed in all different coloured djellaba (moroccan hooded coats) wander the streets and happily greeted us with “bonjour”, ” hello, you are welcome here” whenever we passed on the street. 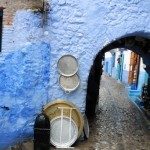 Chefchaouen is a summer destination for many Spanish and it’s easy to see why. 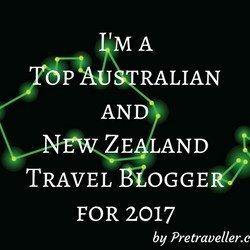 There’s over 200 local hotels to stay at and great local restaurants serving Moroccan and European food at reasonable prices. It’s the starting point for trekkers in the Rif Mountains and there’s lots of outdoor activities which can be easily organised. 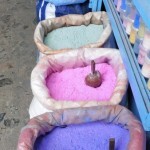 Chefchaouen is known for its quality hand made products. Local cheese, hand woven rugs, blankets, djellaba’s, scarves, jewellery, coats and handbags are just some of the products produced locally. Many of the factories are on the street and it was fascinating watching jackets being woven by hand and carpets using a loom. 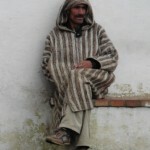 The locals are really relaxed and are quite happy just to talk or help without suggesting payment or putting the hard sell on. 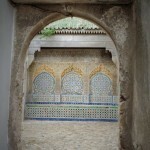 The medina is a great place to explore with something to discover around every corner. We spent many hours wandering through the streets finding little factories, shops, cafe’s, chatting to locals and chilling out. 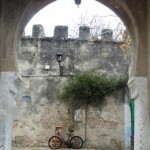 In the centre of the Medina the square overlooks the Kazbah. The square is lined with lots of restaurants and its a great place to sit and people watch. 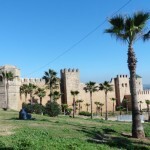 The Kazbah is about 500 years old and is quite well restored. Ron says it reminds him of the cartoon Crock, which was a parody of the French Foreign Legion and one of his favourites as a boy. Unfortunately the museum of ethnography was closed when we visited but we were able to wander around the courtyard, visit the prison and climb up the tower to enjoy the views. In the tower are display boards in French and Spanish and we were able to decipher some of the displays. Around the area are some great walks. 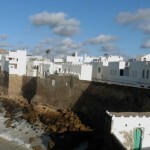 We followed the watercourse which runs below the medina, from our hostel. 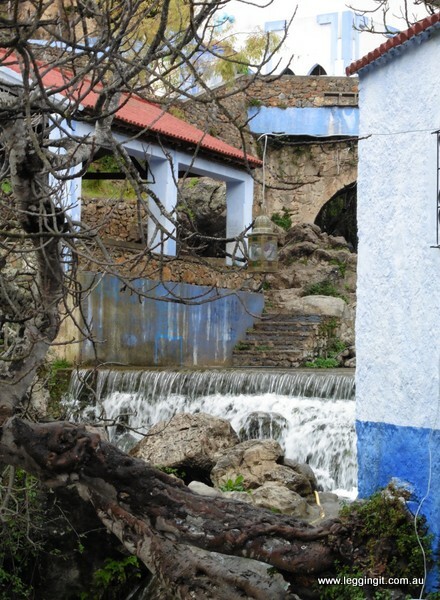 Through the years the mountain stream has provided water power for the mills, and laundry facilities for locals and the tourist trade. 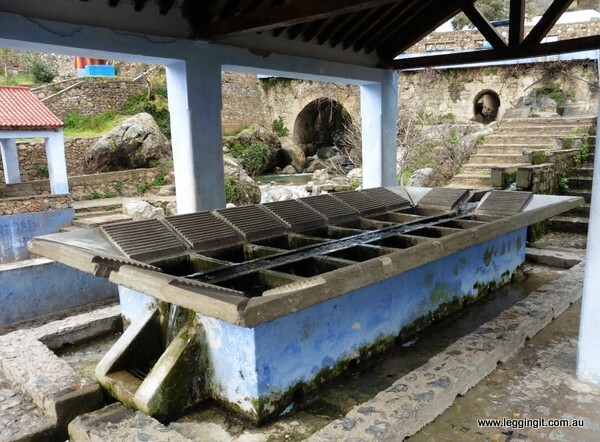 There’s still a number of covered laundry facilities where water is cleverly diverted into rows of washtubs for locals to scrub clothes the traditional way. 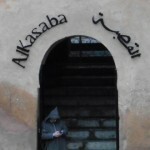 There’s a great walk up to one of the mosques high on a ridge overlooking the surrounding countryside however every time we headed towards it the weather closed in and started raining. I suppose Mother Nature just didn’t want us to climb up there. 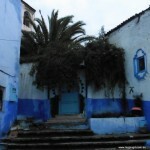 A few of the guests at the hostel used Chefchouen as a starting point for trekking through the Rif Mountains. 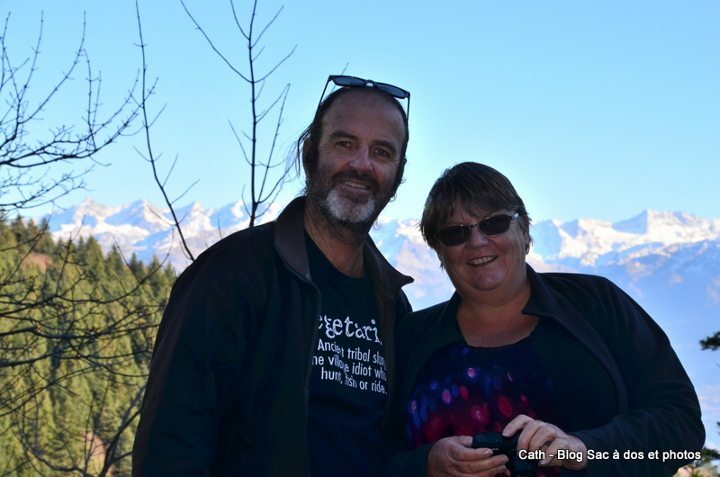 Hopefully they packed heaps of warm clothes as it snowed on the mountains whilst we were there. 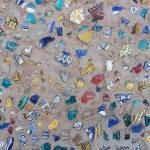 Chefchouen really captured our hearts and before we leave Morocco we’ve vowed to return to the “Blue City” one last time.